Incredible magic for all campaigns! 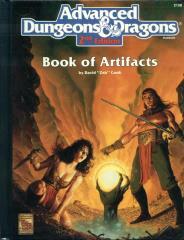 The Book of Artifacts will help every adventure reach new plateaus of mystery, danger, and epic excitement. Within these pages is the most complete collection of legendary and obscure artifacts ever assembled for the AD&D 2nd Edition game.